Kathryn S. McKinley is a principal researcher at Microsoft Research. She likes to solve programming language implementation problems and make systems faster, more reliable, secure, and energy efficient. McKinley and her collaborators produced the widely used DaCapo Java Benchmarks, TRIPS Compiler, Hoard memory manager, MMTk garbage collector toolkit, and the Immix garbage collector. She is co-chair of the CRA Committee on the Status of Women in Computing Research, and has testified on the issue of information technology innovation to the U.S. House Science Committee. McKinley has graduated 17 Ph.D. students. She is an IEEE Fellow and an ACM Fellow. Karin Strauss is a researcher at the MSR Redmond Lab. Her research interests include computer architecture, systems, and bio-compatible computation. Lately, she has been focused on the design of future memory systems, especially those with wearable main memories (i.e., those that wear out as they are written). Karin is an IEEE and ACM senior member, author of over 30 papers published in top venues, including the IEEE Micro Magazine’s Top Picks in Computer Architecture, and inventor on over 20 patents. She received her PhD from University of Illinois at Urbana-Champaign and worked at AMD Research before joining MSR. Steve Blackburn is a professor in the Research School of Computer Science at the Australian National University. His research interests include programming language implementation, architecture, and performance analysis. Steve has been heavily involved in two major research infrastructure projects; the DaCapo benchmark suite and Jikes RVM. Alexandra (Sasha) Fedorova is an Associate Professor of Computer Science at Simon Fraser University. 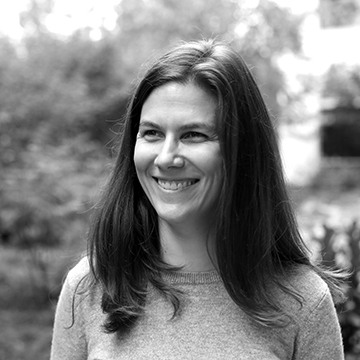 She earned her Ph.D. at Harvard in 2006 with a thesis on addressing limitations of multicore systems using software techniques. While completing PhD she interned at Sun Labs where she co-authored the simulator for the Sun’s multicore processor Niagara. In 2006 Sasha joined the School of Computing Science at SFU where she co-founded the Systems, Networking and Architecture (SYNAR) research lab and currently leads a group of 12 graduate students and postdocs. Sasha has more than 30 publications in top scientific venues and her research is supported by the Natural Sciences and Engineering Research Council of Canada, British Columbia Innovation Council, Oracle, Google, Intel, ST Microelectronics, Research in Motion and Electronic Arts. Sasha is the recipient of the 2011 Anita Borg Early Career Award, and in 2012 she was named an Alfred P. Sloan Fellow. Tim Sherwood is a Professor at UC Santa Barbara specializing in the development of processors exploiting novel technologies (e.g. plasmonics and memristors), provable properties (e.g. information flow security or deadlock freedom), and hardware-aware algorithms (e.g. high-throughput string scanning or new logic representations). He is the recipient of the Northrop Grumman Teaching Excellence Award, the NSF Career Award, the UCSB Academic Senate Distinguished Teaching Award, and on 6 separate occasions his papers have been selected by IEEE Micro as a “Top Pick” for the year. Prior to joining UCSB in 2003, he graduated with a B.S. in Computer Science from UC Davis (1998), and received his M.S. and Ph.D. from UC San Diego (2003).